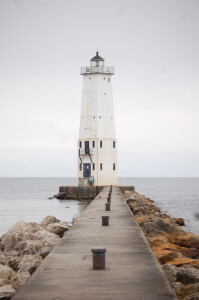 Be sure to check out our Ultimate Michigan Lighthouse Road Trip: Lower Peninsula post! Frankfort, Michigan is now known as the gateway to the Sleeping Bear Dunes National Lakeshore, due to its location on the scenic M-22 highway. 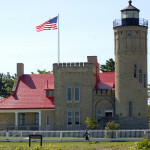 It is believed that the legendary explorer Father Jacques Marquette died near here in 1675 while on his way back to St. Ignace. 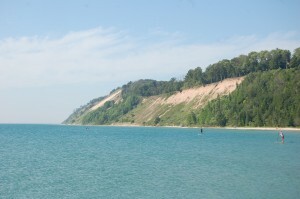 The area later saw a great deal of development, which led to the creation and improvement of a harbor by connecting Betsie Lake to Lake Michigan. The Frankfort North Breakwater Lighthouse currently stands guard here, and it can be visited by making the short walk out onto the breakwater. 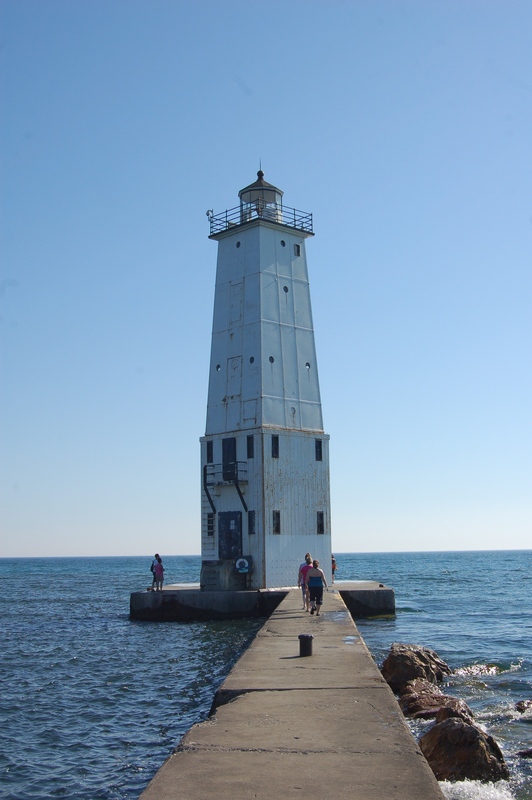 The current lighthouse is 67 feet tall, and it is the original 1912 light that stood on the north pier (44 feet tall) on top of a 25 foot tall square steel base. 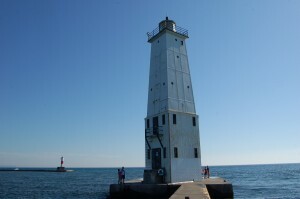 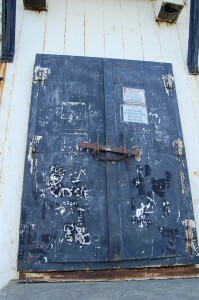 The upper portion is a steel square pyramidal tower capped with a black lantern room. 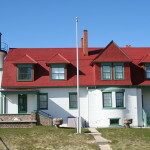 It was moved to its current location in 1932 and it continues to mark the channel entrance, though marine traffic today is almost entirely made up of pleasure craft and fishing boats. 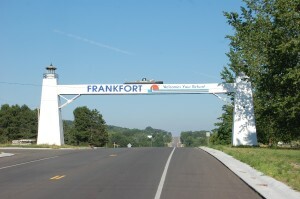 The lighthouse is a point of civic pride, and the “Welcome to Frankfort” archway sign on M-115 features a lighthouse on either side and a car ferry on top crossing between the two beacons. 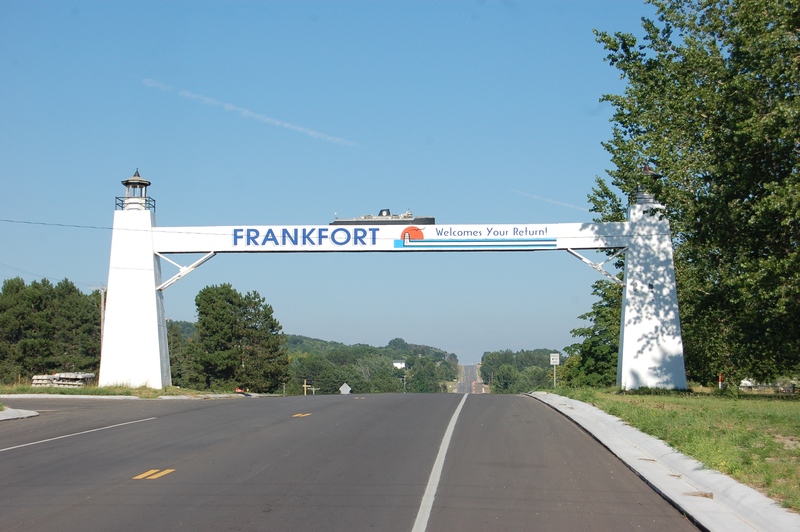 There is plenty of parking throughout downtown Frankfort, and a small parking lot by the beach at the end of Main St. 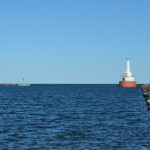 It will be easy to see the lighthouse and follow the path to the breakwater. 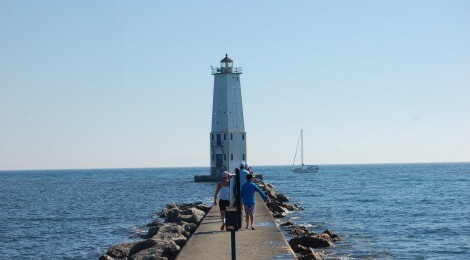 The breakwater is a popular spot for swimming, fishing, and walking; be sure to pay attention to changing weather conditions as the breakwater can become unsafe in inclement weather. 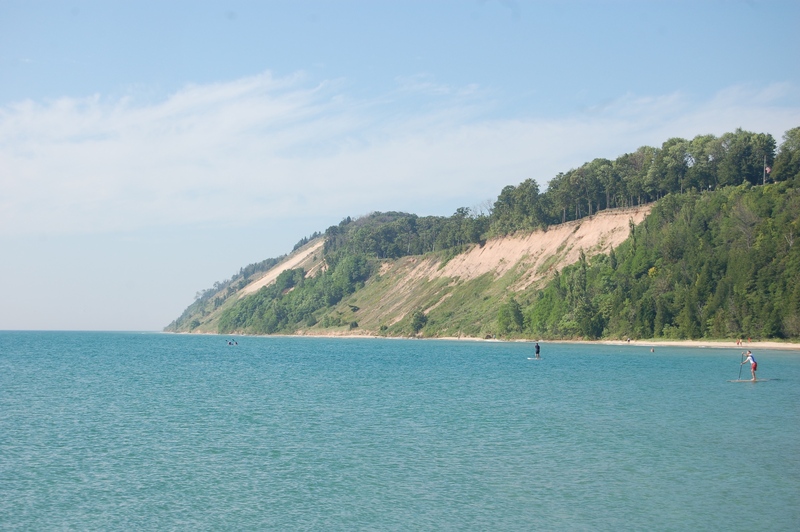 The views looking back at the shoreline from the breakwater are stunning, with dune bluffs to the north of the harbor and a sandy beach south of town. 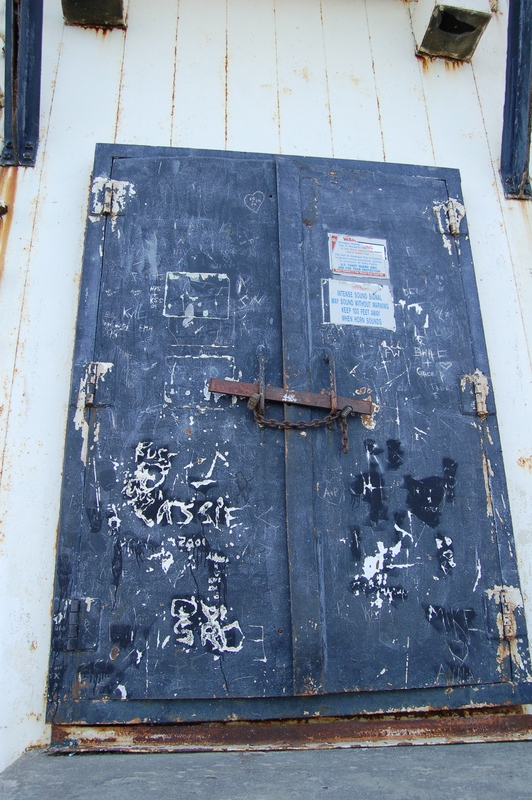 There are many dining and shopping opportunities in the downtown business district including Stormcloud Brewing Company, Dinghy’s Restaurant and Bar, Bay Wear and Kilwin’s. 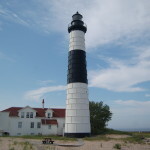 The Point Betsie Lighthouse is located five miles to the north.